If you've ever had to dash out into the street to get around a car parked across the sidewalk, you've probably wished for Superman strength so you could just pick that car up and toss it out of the way. If you lived in Mexico City, you might just get your wish. 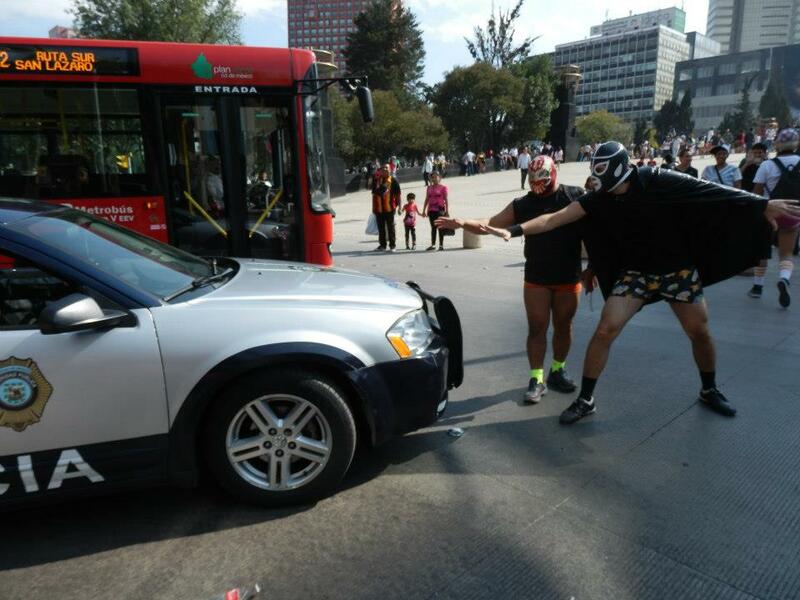 As reported in Atlantic Cities and elsewhere, Jorge Cáñez (aka Peatónito, or "Little Pedestrian" in Spanish) and his buddies regularly hit the streets in Lucha Libre attire, blocking cars, painting crosswalks, and generally fighting the dark forces that impinge on the city's walkability. If you'd like to hear more about Peatónito and his exploits, you can check out his Facebook page here.